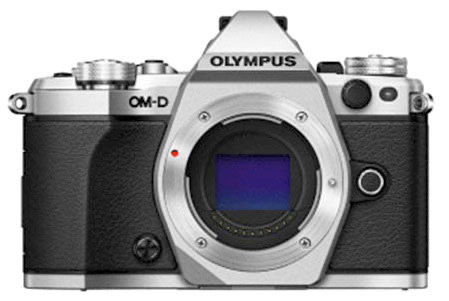 An update of the original OM-D camera with a tripod mode that uses sensor shift to get high pixel counts. Body is splash/freeze resistant. Video: 1080P/60/50 52Mbps AVCHD max .MOV file 77Mbps available with restricted vertical resolution and slower frame rates), also 720P/60/50/30/25/24, 480P/30, plus Motion-JPEG .AVI file, stereo 48kHz sampled 16-bit PCM audio, 24Mbps max nitrate.